What exactly are "pro formas?" I don't see anything called pro forma in your screenshots. Pro formas are your financial statements – Profit & Loss, Cash Flow, and Balance Sheet, made as projections for the future. I’ve never done pro formas. I don't know accounting. I don't even know how to use Excel. Will EZ Numbers work for me? Yes! EZ Numbers was designed to help entrepreneurs who have a great idea for a company, but no experience with accounting or Excel. Just enter the information about your expenses, personnel costs, sales, and your pro formas will be made automatically. 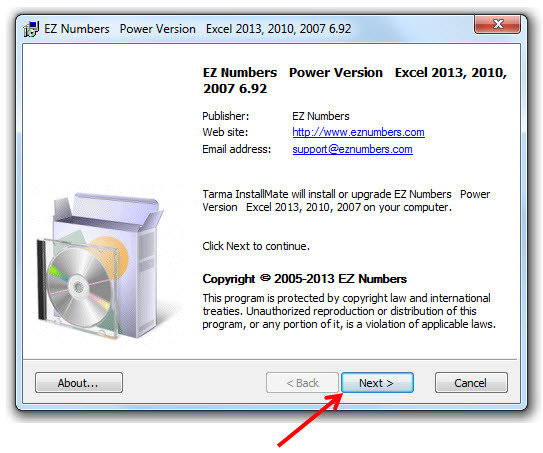 Can I download EZ Numbers on to my desktop at work and my laptop at home with one license? 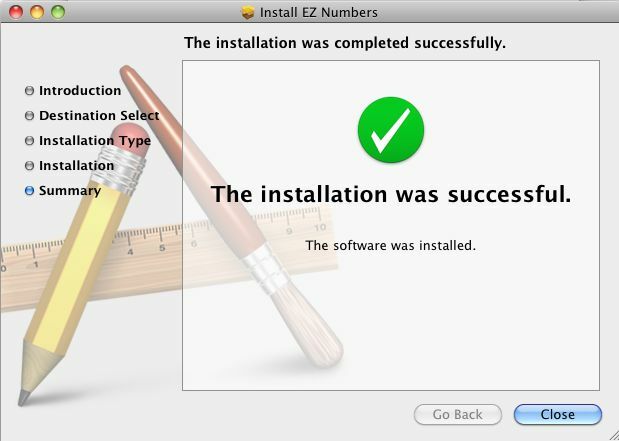 Yes, you’re free to download EZ Numbers for your own use on to different computers. You can also save multiple versions for different ventures using just one license. What kind of companies can I use EZ Numbers for? The Sales module does have some powerful formulas for building regular monthly sales, but you can use EZ with virtually any kind of company. From a C Corp that sells products every month to a real estate LLC that sells 10 homes a year to an S Corp that does content licensing deals.EZ Numbersautomatically creates a custom P&L, Balance Sheet, and Cash Flow for your type of company – whether you have Preferred and Common stock in a Corp or one class of Member Capital in an LLC. Can EZ Numbers handle my unique business that has a very different kind of revenue model? 1. Formulas that easily build out monthly sales. 2. Customizing the formulas to add seasonality, price changes, one-time commissions, etc. This gives you powerful, time-saving formulas but also the complete freedom to build your model completely from scratch. After I buy, when will I get EZ Numbers? Immediately, you can download it right away. What programs do I need to run EZ Numbers? For PC: Microsoft Excel 2010, 2007, or 2003. For Mac: Excel 2011. How long does it take to make my financial statements? That depends on how well you know your business. Many people have bought EZ Numbers the same day they have a presentation with investors or bankers. How do I do a Balance Sheet? I hate accounting. It’s done automatically! Just enter your expenses and sales, and EZ Numbers will make your financial statements for you. Will EZ Numbers do more than just pro formas? Yes. EZ will show you the month when you reach your Breakeven, the amount of cash you have in every month, and many other financial performance ratios. Does EZ Numbers calculate company valuation and investor performance? Yes. EZ Numbers calculates your valuation based on either Revenue, Earnings, or Stock price. EZ also tracks all investor payments, dividends, profit shares, and sale of the company. It will show you the ROI (Return on Investment) and NPV (Net Present Value) for each investor too, so that you can show them how their investment performs. Does EZ Numbers show IRR? NPV? ROI? Yes, EZ shows you all these and more. IRR (Internal Rate of Return), NPV (Net Present Value), and ROI (Return on Investment) are important investor performance figures, and they’re all done automatically for you. Just how much can a pro forma template really help me? Not only will it make your financial statements, but it just might teach you more about your business than you know so far. What kind of Help options are there? “Home” also provides a general summary. Each screen has its own Help screen that will walk you through what you need to know. And you can always e-mail us at info@eznumbers.com with any questions you have. Tech support is free. 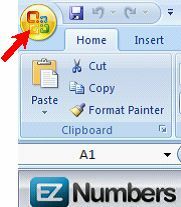 EZ Numbersgives you several options to either print within Excel or copy and paste into Word or PowerPoint, etc. If you choose to deduct taxes in EZ, it will automatically calculate your federal and state income taxes for you. How much about Excel do I need to know? Nothing. You don’t have to make formulas, link cells, or anything like that. Just enter numbers in the blue input cells, EZ Numbers will do all the work for you. How can all the accounting be correct for every business? While there’s no magic one size fits all here, EZ Numbers adheres to GAAP and appropriate IRS conventions. We recommend that you show your file to your accountant. They might be impressed with how far you’ve come. I think I can enter some of this stuff, but not all of it. Once you start, and see the effects of each number you enter, you’ll start to learn about your business in whole new way. You might be surprised with how much you do. You can always ask someone to advise you, or give us a shout to see how we can help. Where is the download saved on my computer? By default, for PC it will be saved in C:/Program Files/EZ Numbers. For Mac it will be in your Applications folder. Do you offer a refund if EZ Numbers isn't what I need? Yes. We guarantee a no-risk 30 day 100% unconditional refund with no questions asked. Period. I have a #REF or #VALUE error. #REF error usually means that you have cut and pasted data into a cell that has a formula. #VALUE error means that you have entered an invalid data type – such as letter or apostrophe. To correct them, you can try clicking the Undo button, or examining the input cells that you have recently modified. 1. Look for the e-mail with the download link. You may need to check your Spam folder. 4. Find the file in your download folder and open. 8. 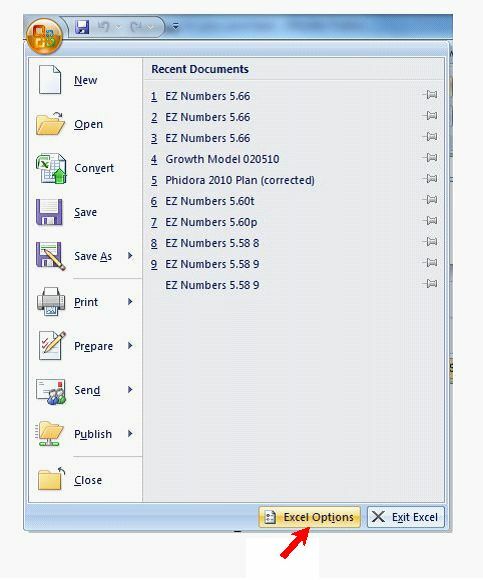 When you save EZ Numbers the first time, we recommend you save a working copy in to your Documents folder. That way you always have a clean, back-up copy in your Program Files folder. 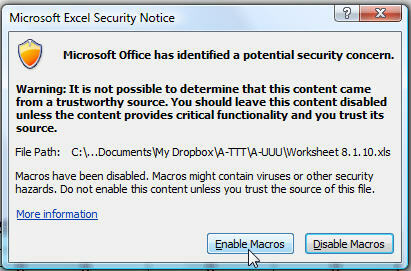 Save the file as “Excel Macro-Enabled Workbook.” If you save in another format, it will not work. It will then be a .xlsm file. 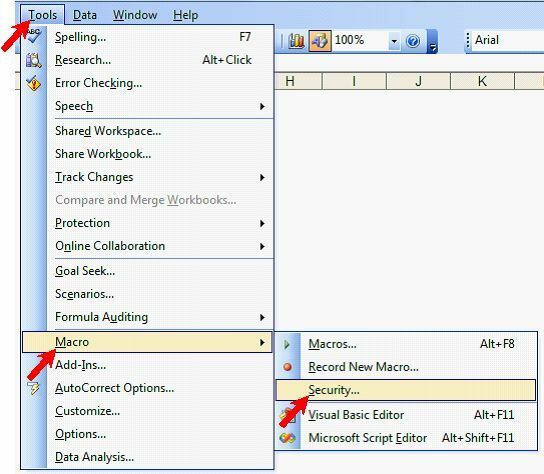 Macros are basically recorded key strokes that allow for navigation and functionality shortcuts. 9. When you open the program, you’ll be on the Home sheet. You’ll see this Macro test. If you click the “Check Macros” button and the blue text appears, you are all set and you can ignore the rest of these instructions and start making your pro formas. 10. 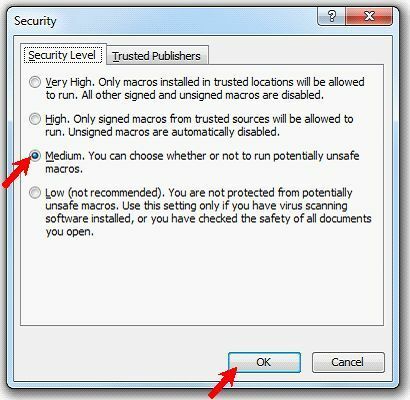 Continue only if you’re having troubles with Macros – Click File on the upper left hand corner, then Options on the bottom. 11. Click “Trust Center” on the left, then “Trust Center Settings” on the right. 12. Click “Macro Settings” on the left. 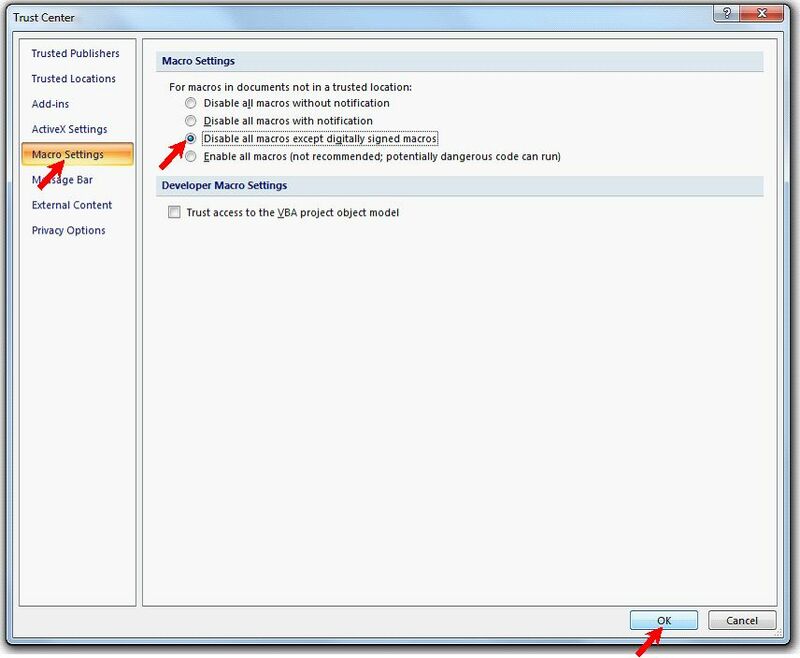 Select “Disable all macros except digitally signed macros” in the middle. Then click Ok on the bottom. 13. Last step! 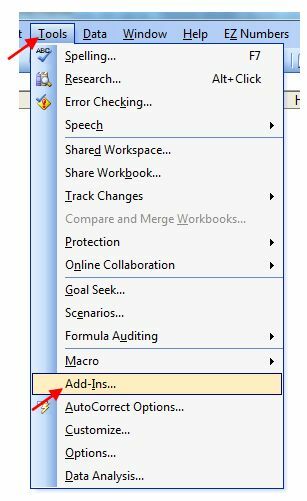 Save Excel, quit the application, then re-open. 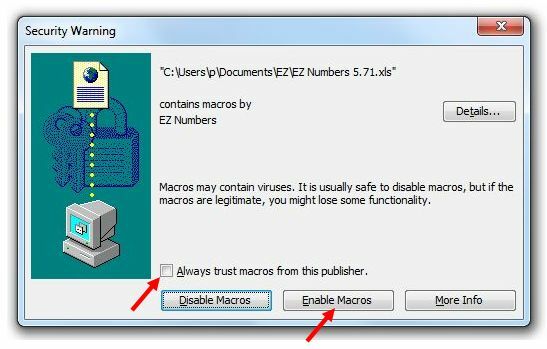 If the macros don’t work, you can try “Enable all macros.” Then when you’re done using EZ Numbers, change the security setting back to whatever you like. Note, EZ Numbers has gone through the Trusted Publisher certification process, and poses no threat to your system. We apologize for the hoops you have to jump through to configure the program, but now you’re all set, and can make your custom pro formas today. 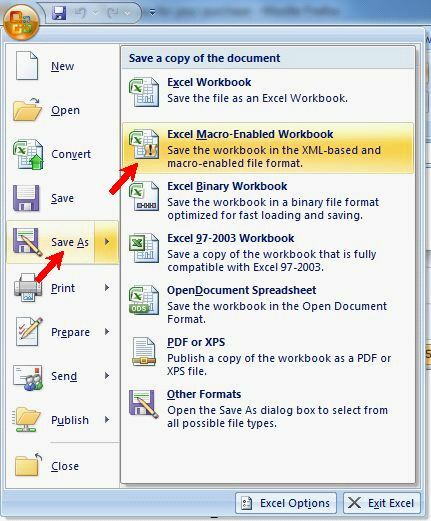 Save the file as “Excel Macro-Enabled Workbook.” If you save in another format, it will not work. It will then be a .xlsm file. 9. The rest of these instructions are only necessary if you have problems with macros. Come back here if you have troubles. Otherwise, you’re all set! proprietary macros in EZ Numbers. 10. 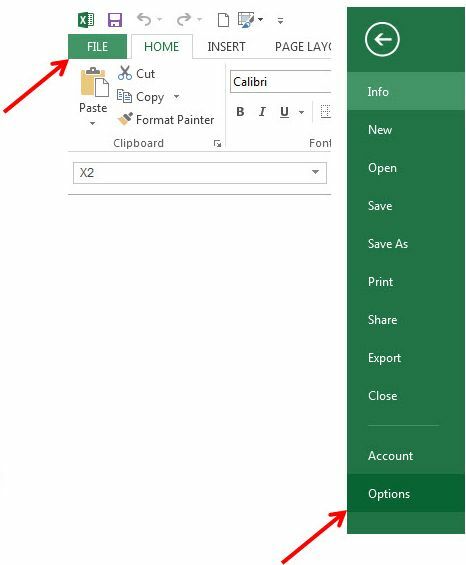 Click File on the upper left hand corner, then Options on the bottom. 7. EZ Numbers will now be saved in a folder called EZ Numbers in your Program Files. 10. Click the Office Button on the upper left hand corner. 12. 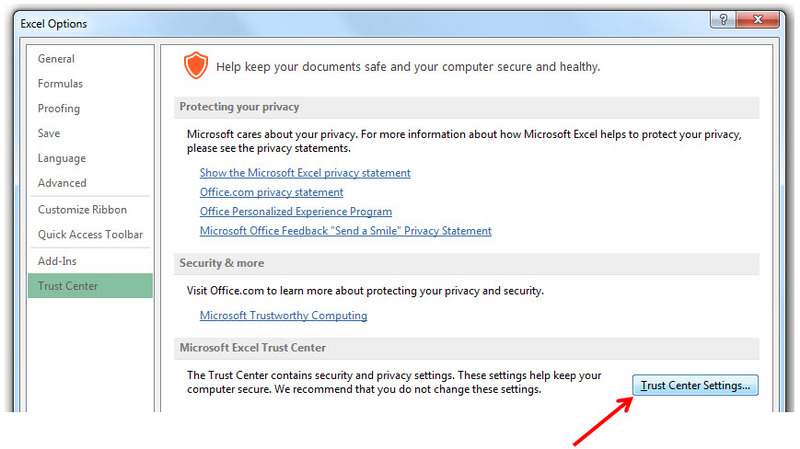 Click “Trust Center” on the left, then “Trust Center Settings” on the right. 13. Click “Macro Settings” on the left. 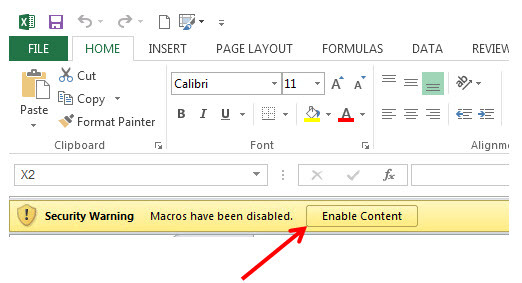 Select “Disable all macros except digitally signed macros” in the middle. 14. Last step! Save Excel, quit the application, then re-open. 7. 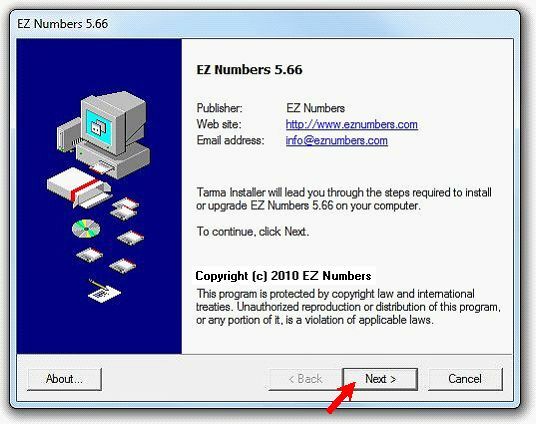 EZ Numbers will now be saved in a folder called EZ Numbers in your Program Files. 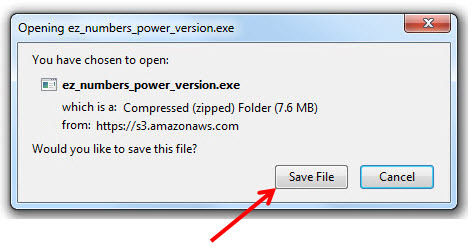 When you save EZ Numbers the first time, we recommend you save a working copy in to your Documents folder. That way you always have a clean, back-up copy in your Program Files folder. 12. 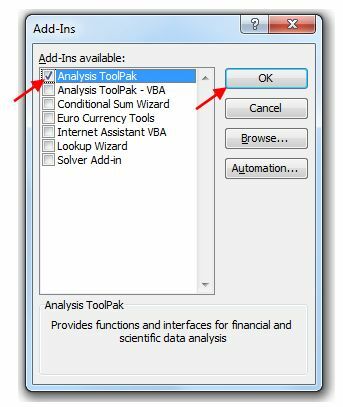 Select “Analysis Tool-Pak” then click Ok.
6. You’ll see this when the installation is complete. 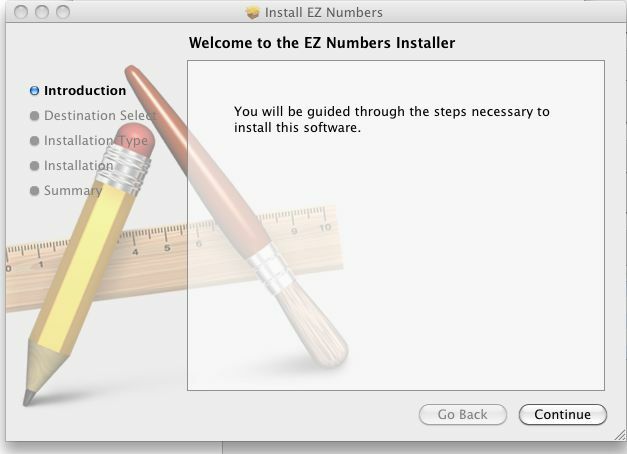 EZ Numbers will now be installed in your Applications folder. 8. 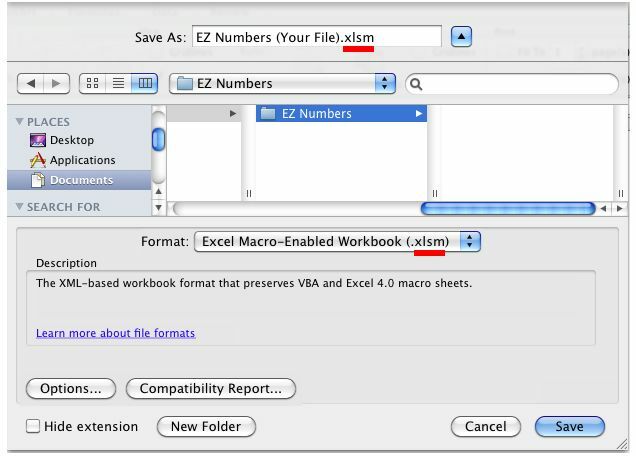 IMPORTANT: When you save EZ Numbers, you need to save it as an Excel Macro-Enabled Workbook (.xlsm), or it will not work. Now you’re all set, and can make your custom pro formas today.